The British Empire has been in the news quite a bit this year, particularly with the stellar ceremonies and nearly flawless production of the 2012 Summer Olympics (minus some last-minute security issues). The Queen even parachuted out of the plane with James Bond as a stunt to commemorate the idols and celebrities of the media. 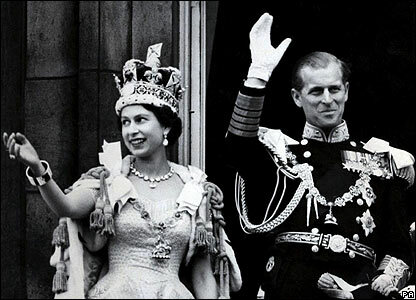 More importantly, this year marks Queen Elizabeth’s Diamond Jubilee for her six decades as sitting regent on the throne. Across the pond, we are humble admirers of the Queen (one of us is Canadian, but the rest of us are in deference to HRH), and even more enamored after learning about her special poetry commission to celebrate her Diamond Jubilee. To commemorate her 60-year rule (1952-2012), a corresponding poem was written for each year by a specially selected contemporary poet. Hosted by thespace.org, the website is stimulating and interactive: each of the 60 poems are accompanied by photographs of the Queen and newspaper cut outs, with the option to listen to audio in addition to reading the poems. Take a look at Gillian Clark’s beautiful poem for 1955, “Running Away to the Sea” for just one example of the diamonds in HRH’s poetry collection. We could not imagine a better way to celebrate a life well-lived than poetry, and this time capsule of historic events will surely see HRH through decades more. Of course, jumping out of a plane with Daniel Craig might be nice too.